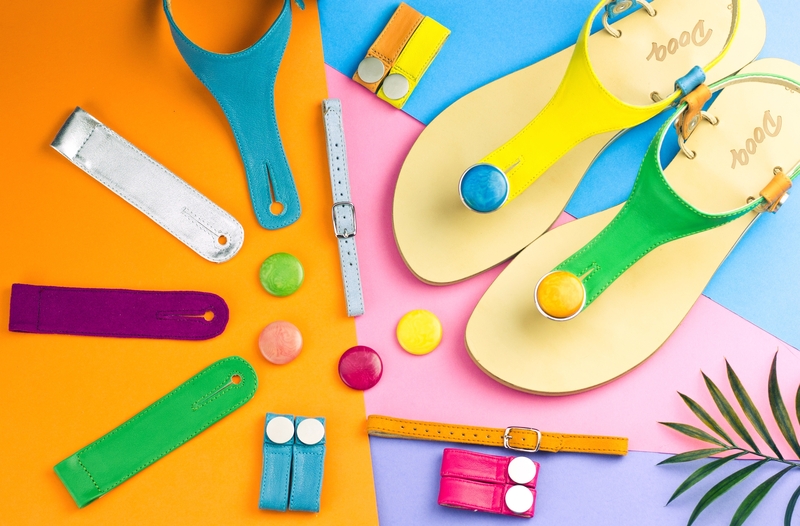 Start-up Dooq launches Kickstarter campaign for the revolutionary modular and fully customizable sandals. Each and every lady will be able to design sandals to match her own summer style and mood perfectly. 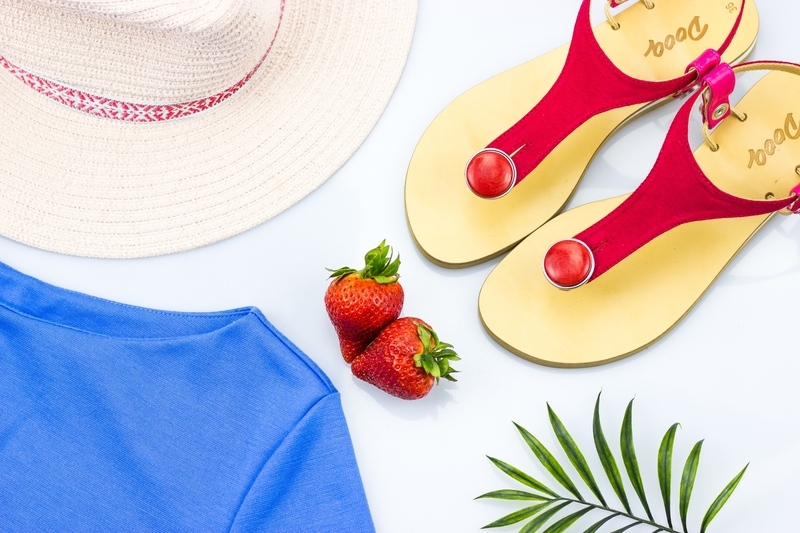 Dooq sandals perfectly match summer outfit. Dooq sandals are very travel friendly. All the parts needed to create 27 pairs different sandals weight only 300 grams and fits in the same space as the usual sandals. 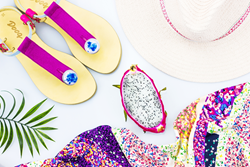 Such set allows to create a different pair of sandals matching outfit, mood, and plans. Women have a weakness for shoes. Studies show that women own 20 pairs of shoes on average – and most of them are never worn. All ladies have a pair of shoes that matches only one dress. Fashion changes rapidly and ordinary shoes cannot keep up with it. 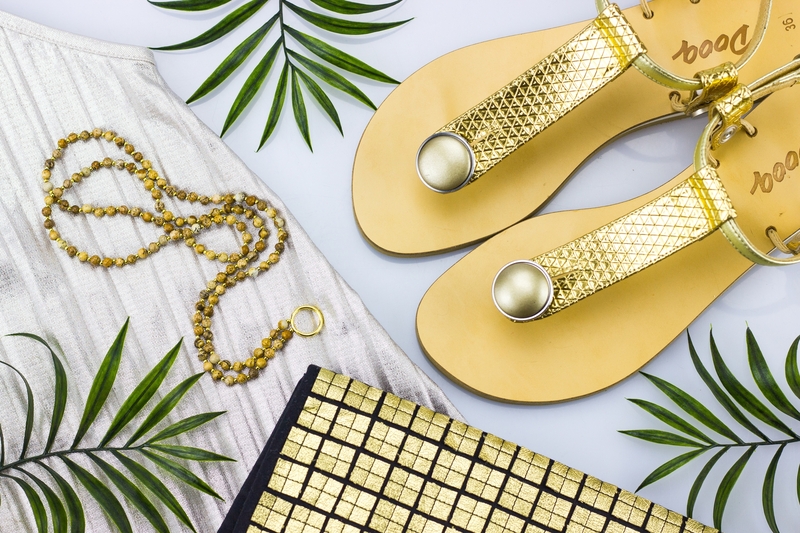 The International start-up Dooq has just launched its Kickstarter campaign and is here to solve this footwear issue by introducing first fully customizable ladies’ sandals. Construction of Dooq sandals allows every woman to design custom sandals which would perfectly match her style. Dooq can never become boring – it's easy to redesign them within a few seconds. Dooq sandals are very travel friendly. All the parts which are needed to create 27 different pairs of sandals weighs only 300 grams and fits in the same space as usual sandals. Such set allows to create sandals that matches outfit, mood, and plans on particular day. "Earlier matching clothing and shoes on a trip was a luxury that not all of us could afford. Now, every woman can choose what color and style Dooq sandals she will ware not overloading the luggage. Summer must be full of colors" – says Rasa Pekarskaitė, representative of the start-up. Dooq sandals come in a set of stylish sole and variety of upper parts in different colors and forms. Upper set consists of upper, sides and magnetic button. It's easy to mix-match parts from different upper sets. Due to the unique design all those parts fixes to the sole firmly. Dooq sandals are handmade of top quality materials. Ladies will not pay for the sole second time if they want a new pair of Dooq. The Dooq sandal upper set is half the sandal price. Which is why you save both – storage and money. By choosing Dooq ladies contribute to saving nature from pollution. Soles manufacturing creates highest volumes of CO2 compared to other sandal parts. One sole means less pollution. And the modular design leads to the longer lasting product and reduced unnecessary consumption, because it is easy to replace the worn parts. "The idea of modular sandals was born three years ago when I tried to modify the still good but already boring sandals. I thought why I should throw away the good sandals only because color of their beads does not match my clothes. I used my jeweler skills and changed the beads. And then I got the idea to create sandals which every woman could change." – Rasa Pekarskaite tells a Dooq story. With this idea Rasa gathered a team that helped it to come true - Sergi Dominguez Font, expert of industrial design and Vismantas Kasteckas who has master degree in production management. 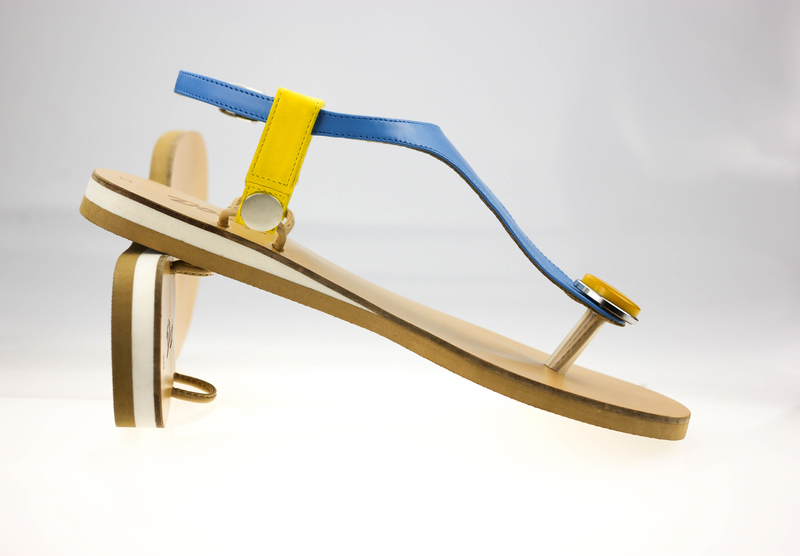 After dozens of models and designs, team created comfortable fully modular Dooq sandals. 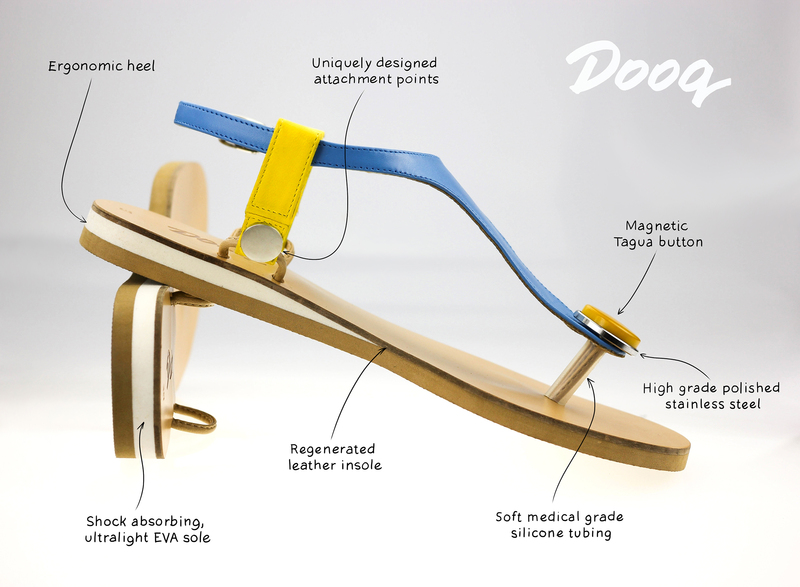 Dooq launched a kickstarter crowdfunding campaign in order to raise the necessary funds to begin production of these revolutionary sandals. Dooq sandals can be backed on here, starting from 55 USD (48 EUR) for a set.